Neat video, short and sweet. Good for unwinding too, as I discovered yesterday. Think I should put that LOL “Somewhere something went terribly wrong” picture on my desktop! Thanks for the positive feedback! It’s great to know people are reading and getting something out of the blog! Thanks so much and I hope you find it helpful! Just went through some very painful weeks of shoulder, neck and tingling left arm left arm ailments and had to go to physical therapy. It was directly related to poor posture which was overcome through a special exercise regimen and buying an expensive, but well worth it, new chair for my home computer desk. Can’t say enough about getting rid of the almost 24/7 disabling pain in just a couple of visits to a professional physical therapist. 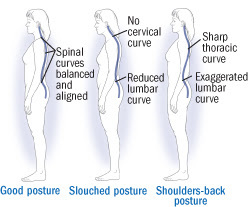 Dr. Nolfro is right on about the importance of good posture. 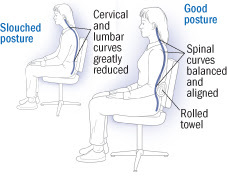 Don’t slouch and don’t let yourself be victimized by lazy habits that develop poor posture and all that goes with it.